On September 9th, 1956, Elvis Presley appeared on the Ed Sullivan show with 60 million people watching, an amazing 82.6% of the audience and a record that hasn’t been beat to this day. Elvis performed 4 songs: Don’t be Cruel, Hound Dog, Reddy Teddy, and Love Me Tender, and was shown on the screen with the now famous “waist up” crop. It was a historic TV event and marks the unofficial start of The Golden Age of Rock. Much has been written about the way Ed Sullivan controlled performers on his show. 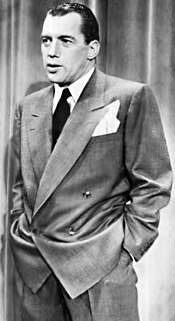 As a family variety show, his standards were conservative, even for the 50s. The idea of having an act that was already nicknamed “Elvis the Pelvis” led him to initially turn down Elvis’ offer to do the show for $5,000. By this time, though, Elvis had already scored 3 #1 hits, and eventually the deal was signed for $50,000 for 3 shows, an enormous amount for the time. During the first segment, Elvis was photographed from the waist up only, avoiding shots of his hips and what was labeled as “suggestive movements”. Of course, this form of censorship only increased Elvis’ appeal and the reaction of the studio audience gave the home viewers a hint of what they were missing. It wasn’t until later that we saw Elvis on screen from head to toe. 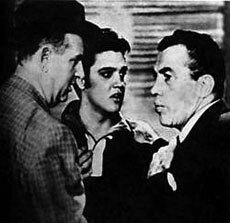 As luck would have it, neither Ed Sullivan or Elvis were actually in the studio for the famous first appearance. Ed Sullivan was recuperating from an automobile accident and Charles Laughton filled in for him. Elvis was in Hollywood, filming his first movie, and performed from the CBS studio there. Even so, this event was so big, that it was included in the History Channel special “10 Days that Unexpectedly Changed America”.